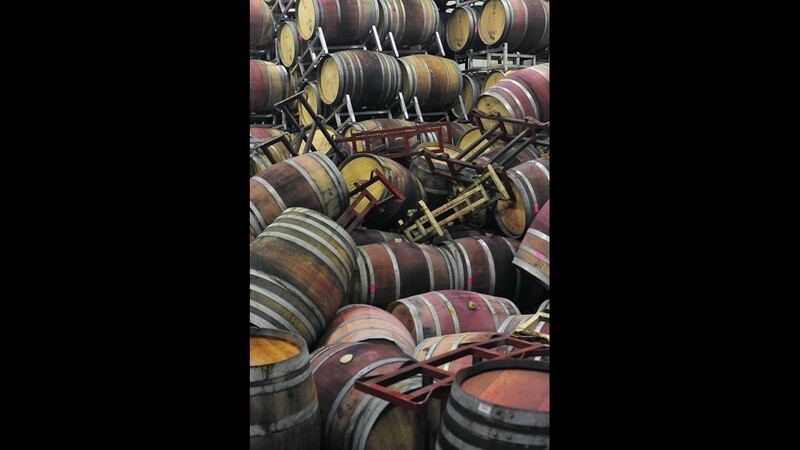 Barrels are strewn about inside the storage room of Bouchaine Vineyards in Napa, California after a 6.1 Earthquake struck the area on Sunday, August 24, 2014. 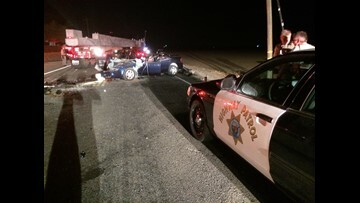 More than 80 people were injured after the quake caused fires, significant structure damage, water main breaks, and power outages throughout the region. 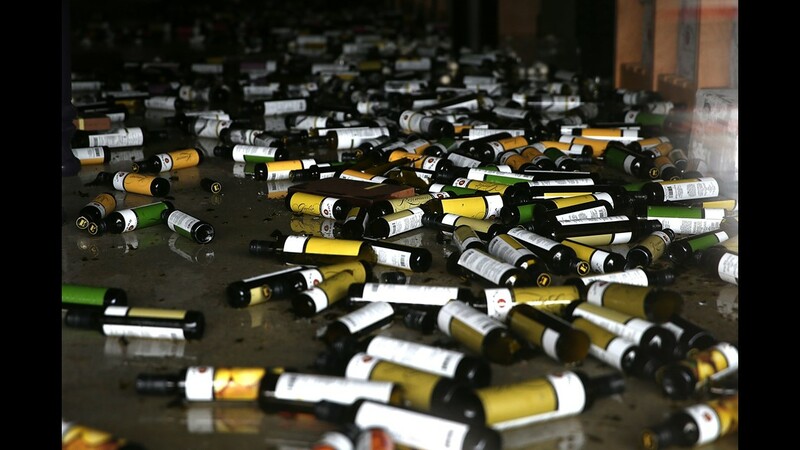 NAPA, CA - AUGUST 24: Bottles of olive oil and vinegar sit on the floor of a business damaged by a reported 6.0 earthquake on August 24, 2014 in Napa, California. A 6.0 earthquake rocked the San Francisco Bay Area shortly after 3:00 am on Sunday morning causing damage to buildings and sending at least 70 people to a hospital with non-life threatening injuries. 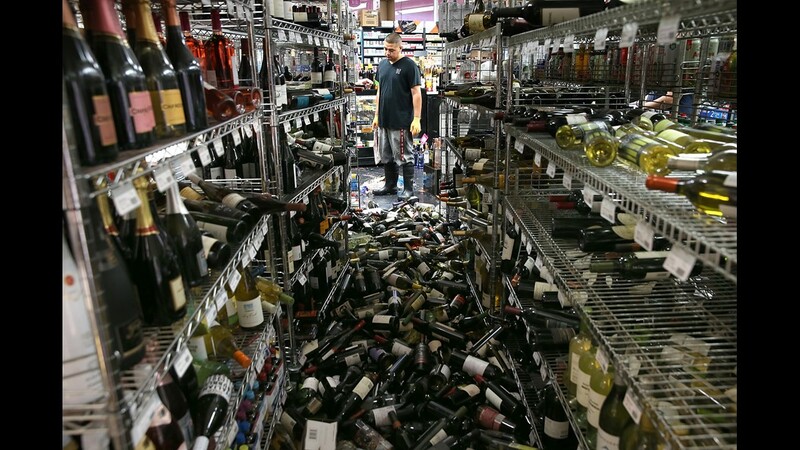 NAPA, CA - AUGUST 24: A worker looks at a pile of wine bottles that were thrown from the shelves at Van's Liquors following a reported 6.0 earthquake on August 24, 2014 in Napa, California. A 6.0 earthquake rocked the San Francisco Bay Area shortly after 3:00 am on Sunday morning causing damage to buildings and sending at least 70 people to a hospital with non-life threatening injuries. 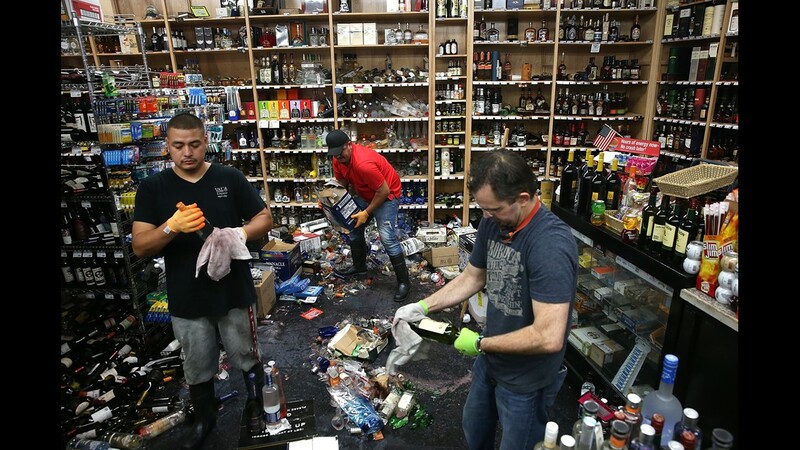 NAPA, CA - AUGUST 24: Workers clean up piles of bottles that were thrown from the shelves at Van's Liquors following a reported 6.0 earthquake on August 24, 2014 in Napa, California. A 6.0 earthquake rocked the San Francisco Bay Area shortly after 3:00 am on Sunday morning causing damage to buildings and sending at least 70 people to a hospital with non-life threatening injuries. 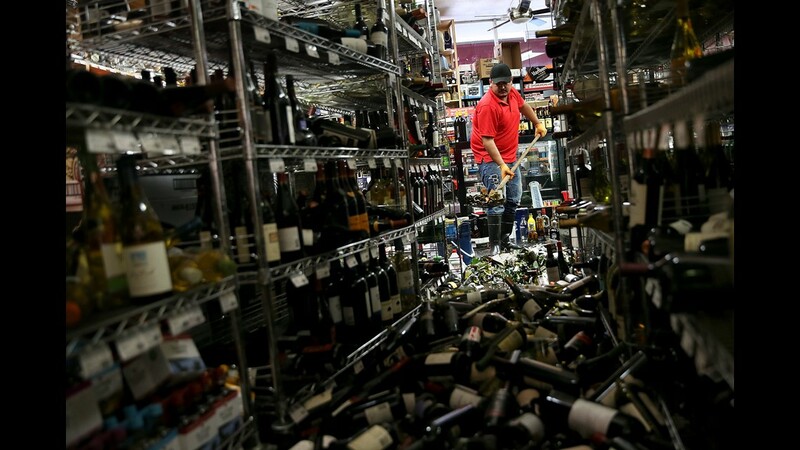 NAPA, CA - AUGUST 24: Eddie Villa uses a shovel to clean up wine bottles that were thrown from the shelves at Van's Liquors following a reported 6.0 earthquake on August 24, 2014 in Napa, California. A 6.0 earthquake rocked the San Francisco Bay Area shortly after 3:00 am on Sunday morning causing damage to buildings and sending at least 70 people to a hospital with non-life threatening injuries. 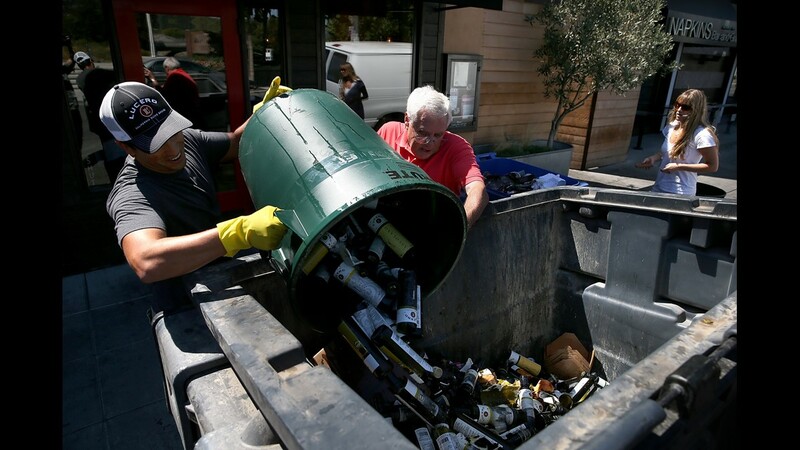 NAPA, CA - AUGUST 24: Workers dump broken bottles into a dumpster following a 6.0 earthquake on August 24, 2014 in Napa, California. A 6.0 earthquake rocked the San Francisco Bay Area shortly after 3:00 am on Sunday morning causing damage to buildings and sending at least 70 people to a hospital with non-life threatening injuries. 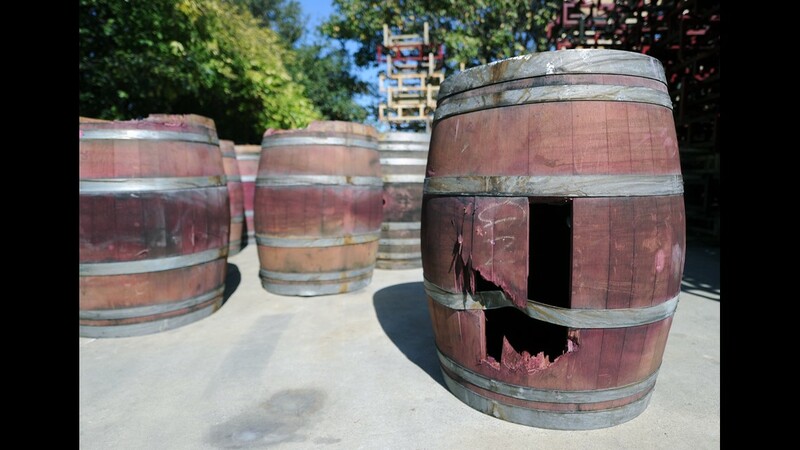 A damaged barrel sits outside at Bouchaine Vineyards in downtown Napa, California after an earthquake struck the area. 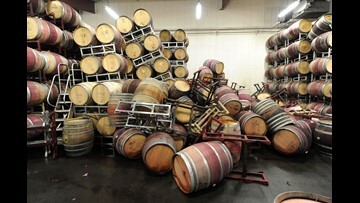 California's governor Jerry Brown declared a state of emergency Sunday following a strong 6.0-magnitude earthquake that seriously injured three people including a child and ignited fires in the scenic Napa valley wine region. 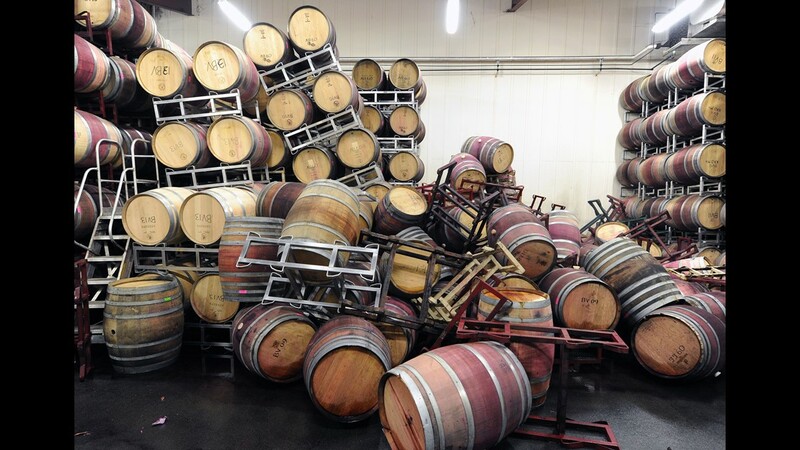 The US Geological Service said that the quake was the most powerful to hit the San Francisco Bay area since the 1989 6.9-magnitude Loma Prieta earthquake. 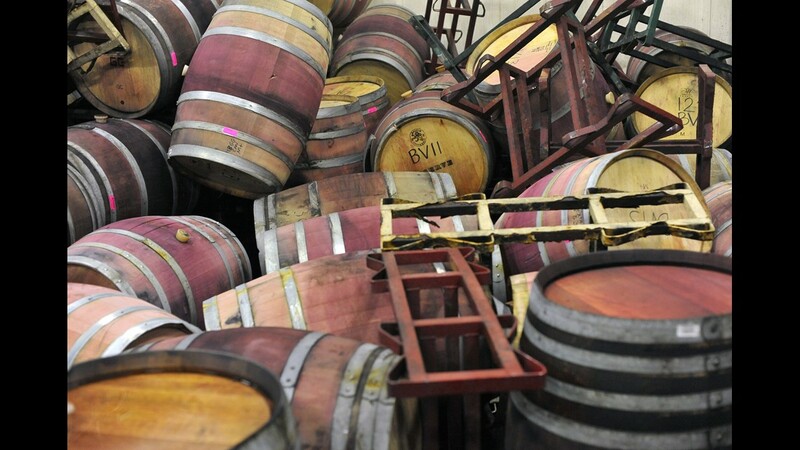 Barrels are strewn about inside the storage room of Bouchaine Vineyards in Napa in downtown Napa, California after an earthquake struck the area. California's governor Jerry Brown declared a state of emergency Sunday following a strong 6.0-magnitude earthquake that seriously injured three people including a child and ignited fires in the scenic Napa valley wine region. 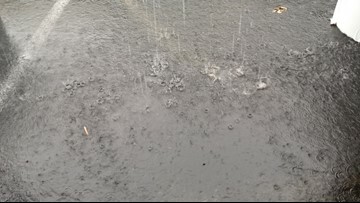 The US Geological Service said that the quake was the most powerful to hit the San Francisco Bay area since the 1989 6.9-magnitude Loma Prieta earthquake.